1. I’m sad to say that I don’t remember where we had this deliciously decadent breakfast. I remember the taste of that Rose jam on my tongue. I remember the squeaky cheese that I tried, along with the other thousands of cheeses. I swear, I had more cheese on this trip than I’ve ever had in my twenty years of life. 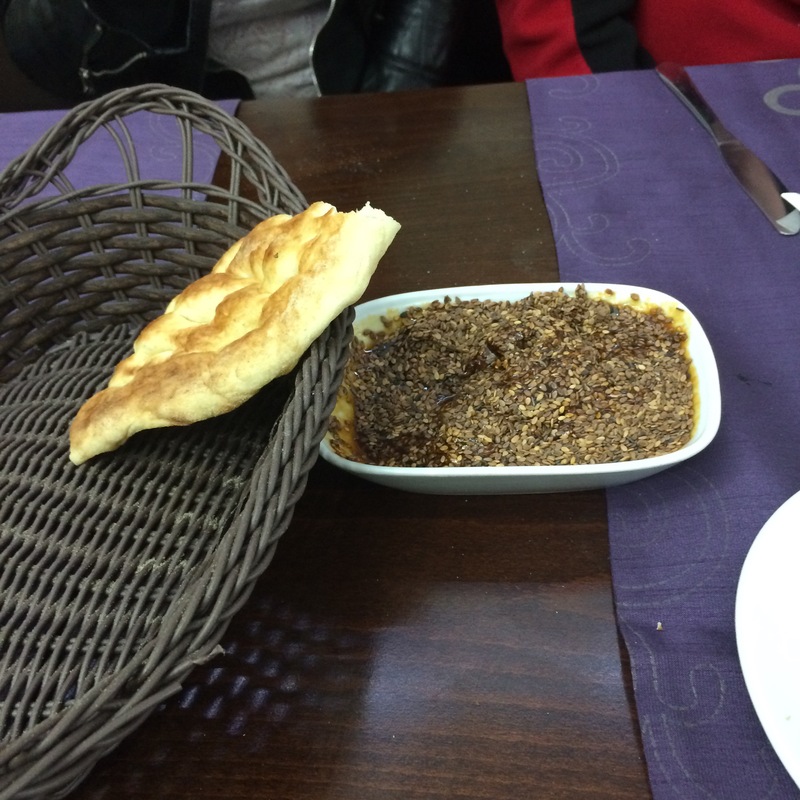 The vegetables were so fresh, and the bread was always perfect (for lack of a better word). 2. 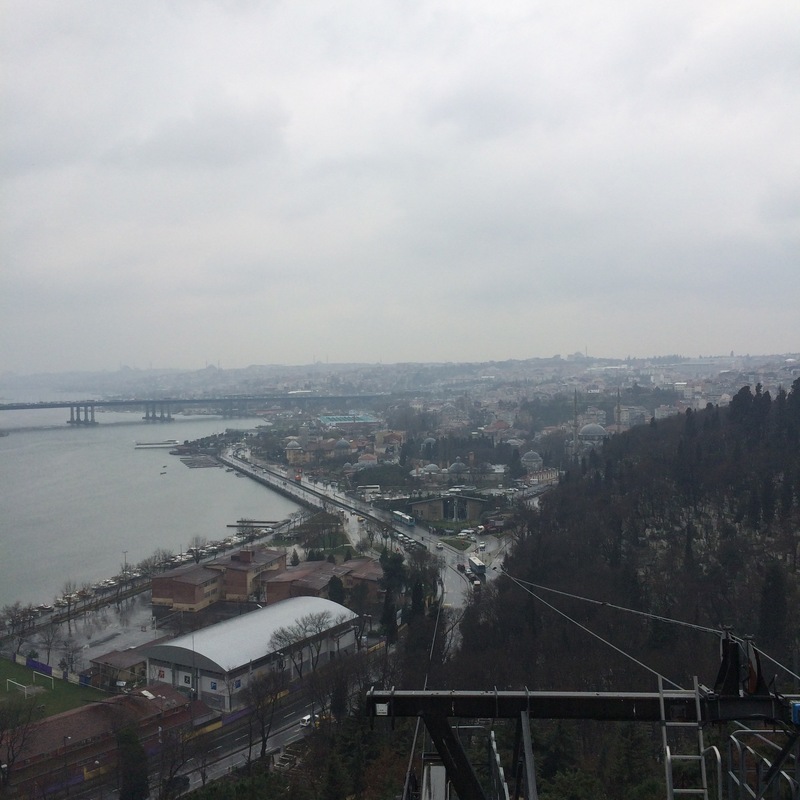 Pierre Loti Hill gives an extraordinary view of Istanbul itself…even when it’s gloomy. To get to the top of the hill, you take a lift… over a cemetery. There’s a cemetery on the hill… super… different? I’m not really sure what to say about that except that it’s… different. The view’s great though! 3. This is Miniaturk. 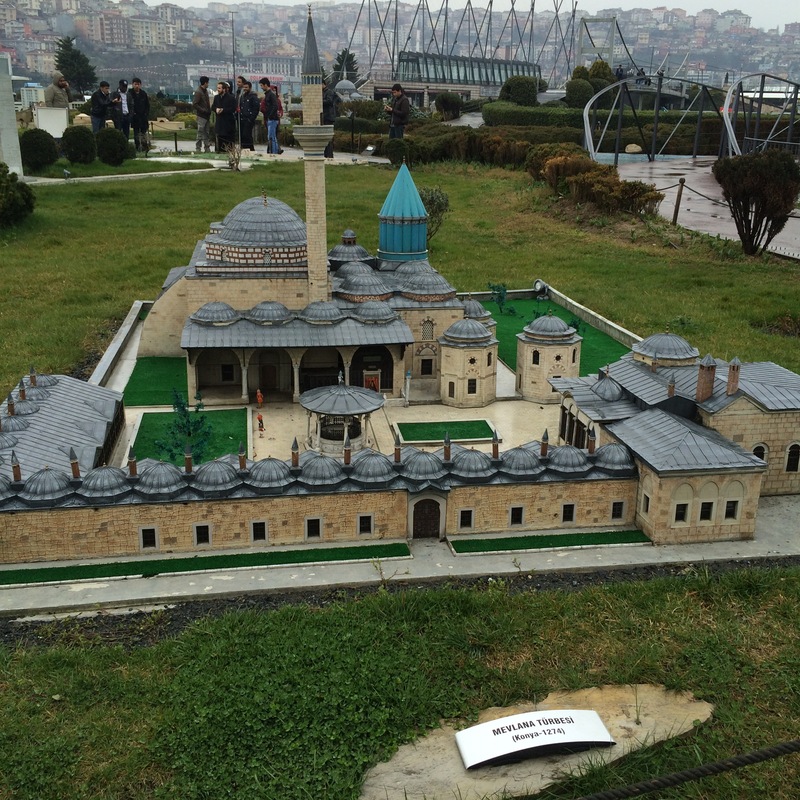 A place exhibiting mini structures of Istanbul’s most well-known architecture. It’s a super cute place, but it may be more enjoyable for younger children and on warmer days. 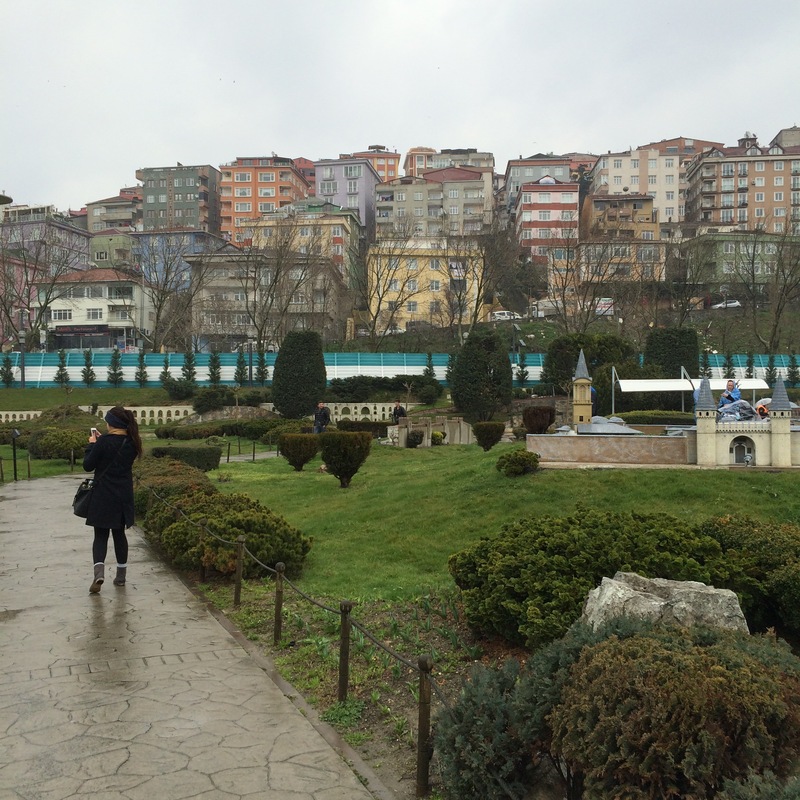 Although, it does give an altogether magnificent view of some of Istanbul’s homes…. yes, those are real houses in the back!! Cute, aren’t they?! 4. They said that we were going to the mall… I guess that this is another difference! I thought we were going to a large building filled with clothing stores, yet this place is filled with people and food. I love food, so I wasn’t complaining. 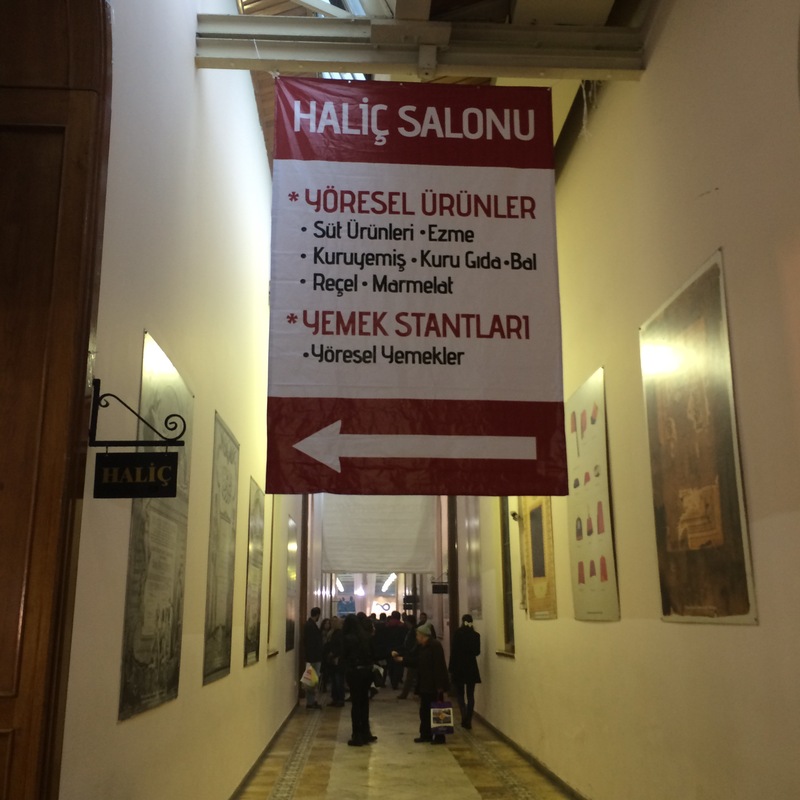 I also bought a whole tray of baklava here. It was almost like Heaven… in a tray. 5. 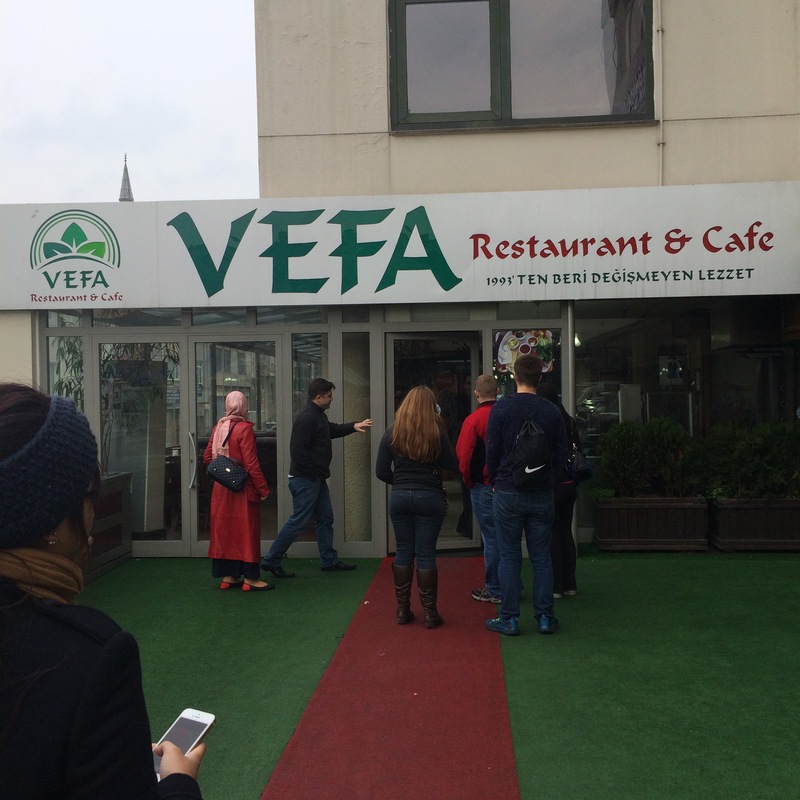 Vefa Restaurant and Cafe might have beat Baran Ottoman by a point, in my opinion… Or I might just really love rice pudding. 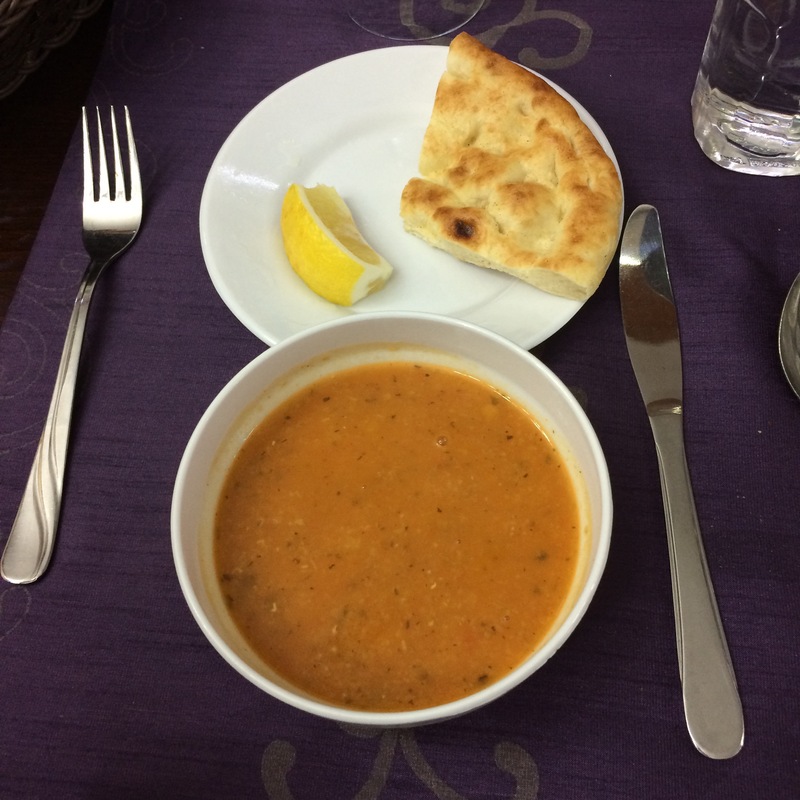 We had Lentil soup and flatbread with a sweet dip as an appetizer (surprise, surprise). 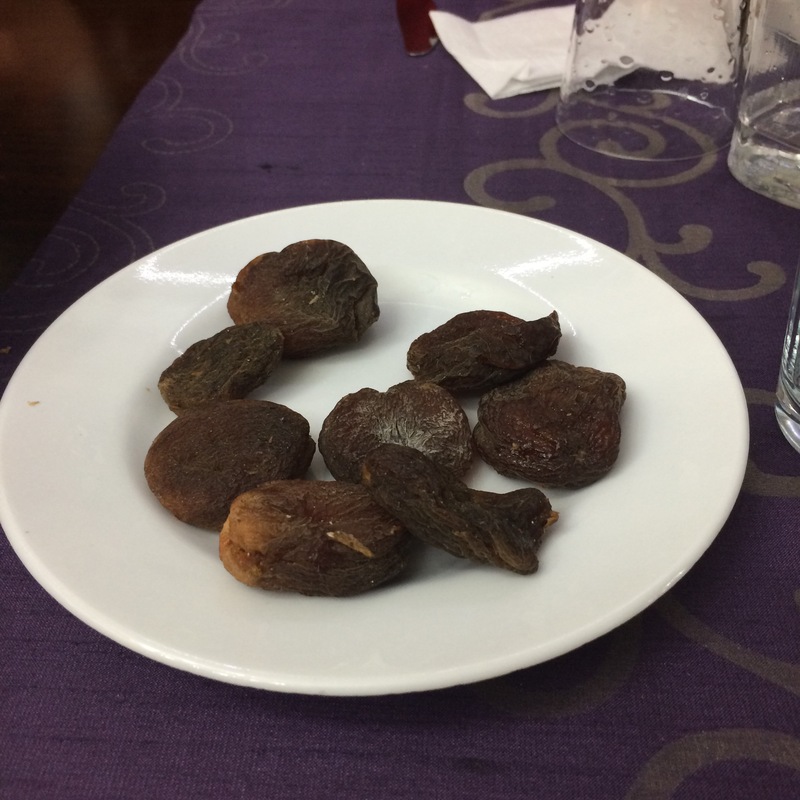 We were also served Dates, which I didn’t like, at all. It was too chewy, and too strange for me. Others liked it though, so if you aren’t too picky… it’s worth a shot! 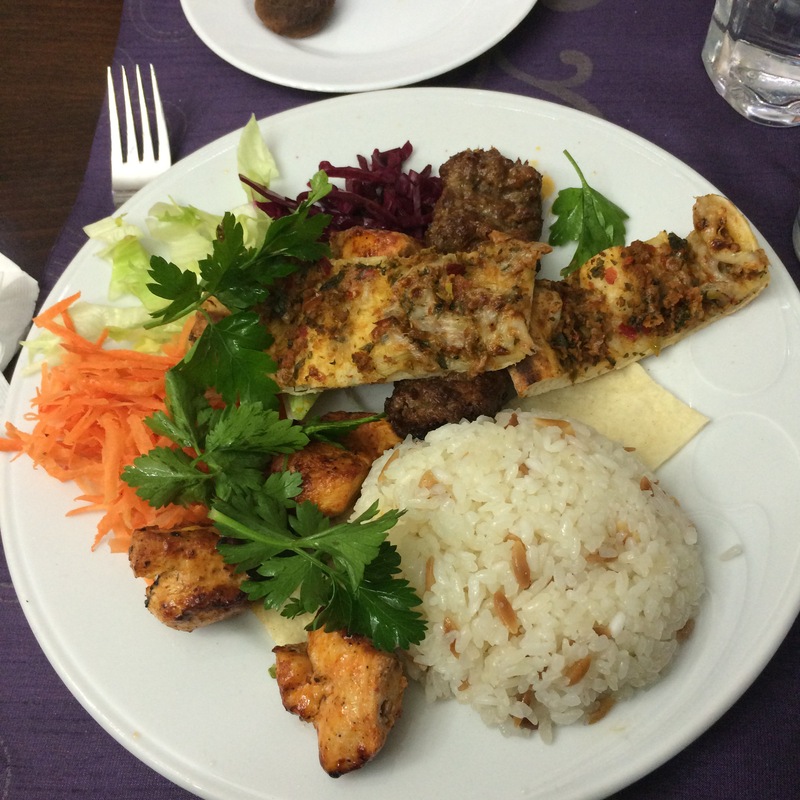 Kabab meats (chicken and beef) with the amazing Turkish buttered rice and salad. 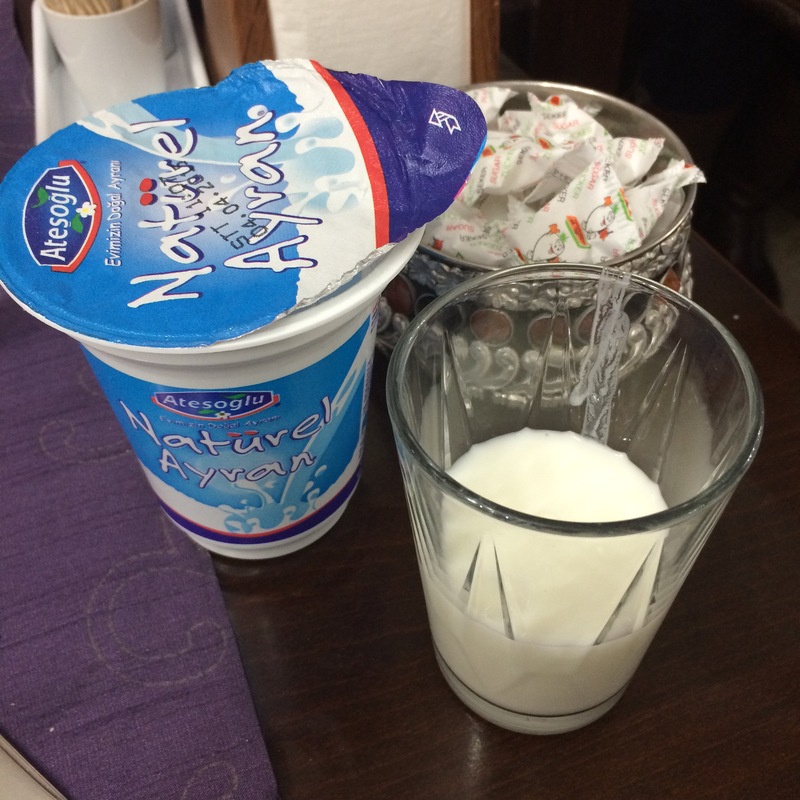 Ayran is a yogurt drink, and is “super-Turkish”. It’s literally watery-yogurt….not my cup of tea.. 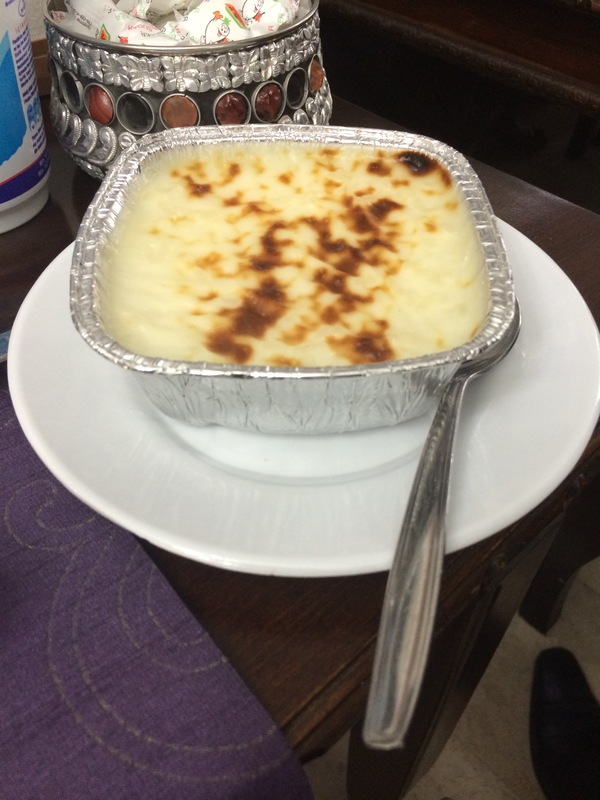 I vaguely remember that we had a choice between baklava or rice pudding for dessert… obviously I chose rice pudding and was very content with my choice! 6. 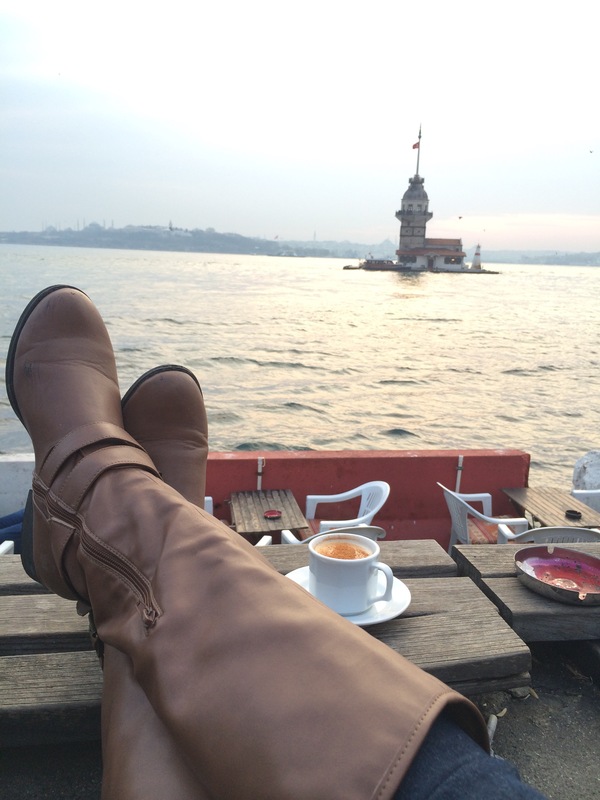 We rode a subway to Asia, where we gazed at the Maiden’s Tower up close, and enjoyed the grand finale of our trip with a cup of Sahlep. 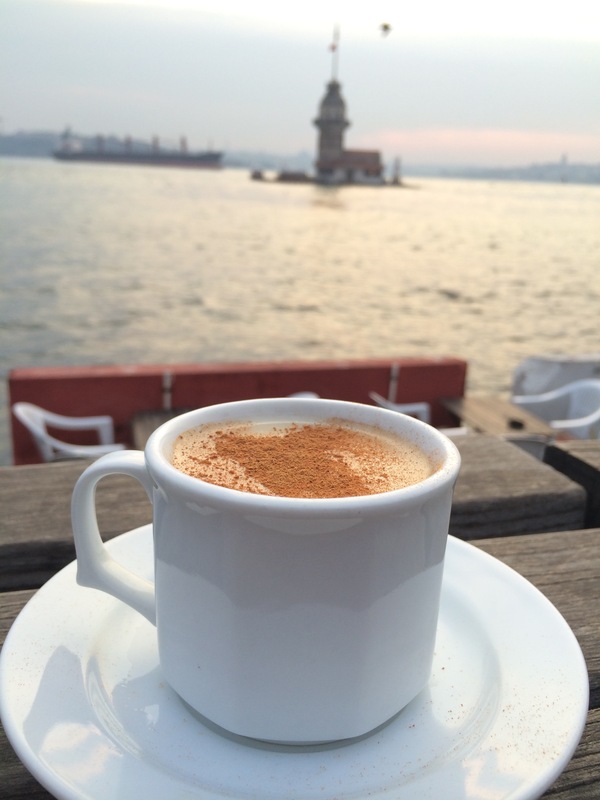 It’s a warm and creamy milk drink topped with cinnamon… sounds gross, but it really isn’t. 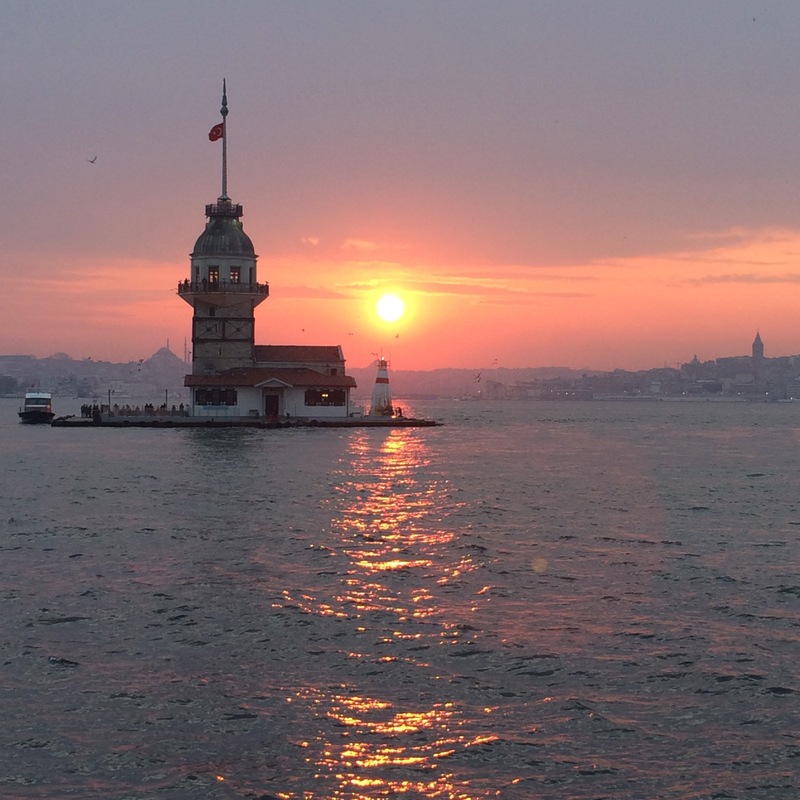 We were blessed enough to be able to watch the sunset on the horizon of the Sea of Marmara, behind Istanbul and the Maiden’s Tower. That was a view that’ll be impossible to forget anytime soon. How beautiful is this?! What a view of a lifetime. The sun was blood red (which the camera did not pick up), but everything felt perfect at this moment. 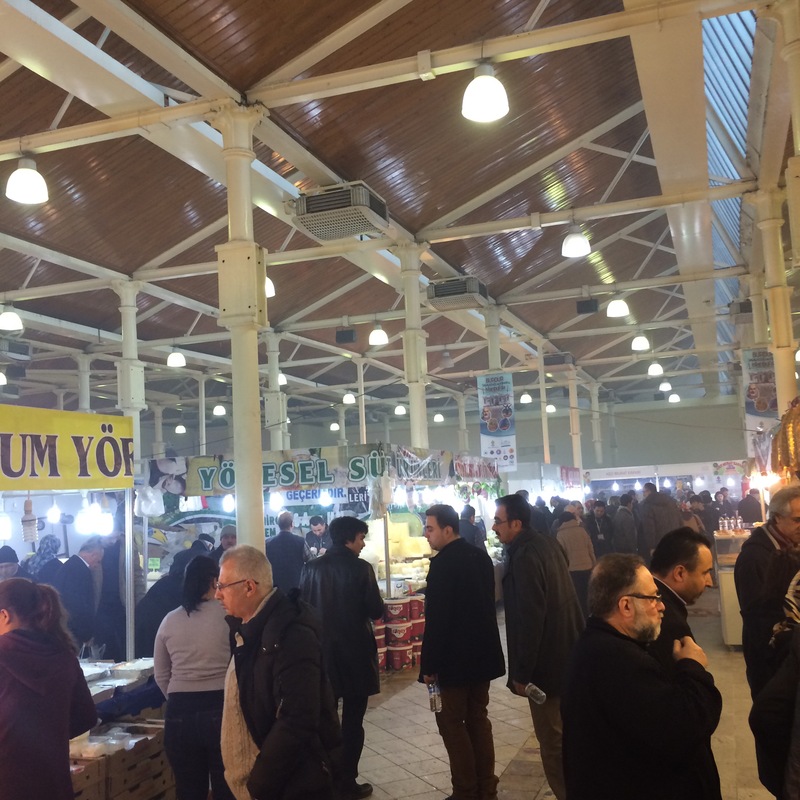 Güle güle, Istanbul!